Citation: Drago M, Casadei R, Donati DM. Sarcomatous Transformation in the Paget's Disease: A Case Report with a Review of Literature. Bone Rep Recommendations. 2016, 2:2. Copyright: © 2016 Drago G, et al. This is an open-access article distributed under the terms of the Creative Commons Attribution License, which permits unrestricted use, distribution and reproduction in any medium, provided the original author and source are credited. The dreaded consequence of Paget’s disease is sarcomatous transformation, a neoplasm with poor prognosis. This report describes a 61-year-old patient who developed two sarcoma in Paget disease: the first on right distal humerus and the second on right clavicle. Time elapsed beetwen lesions was 5 years. Clavicle’s tumor should be considered as metastasis, but in our opinion, some interesting elements support theory of a second primitive tumor with a metachromous onset. We present clinical, radiological and pathological features of this case comparing it with a review of literature. Paget’s disease of bone (PDB) is a skeletal disorder with the production of abnormally structured bony trabeculae and cortices that result in deformity and enlargement of a single or multiple bones. Pain, fracture and disability could occur as complications, although PDB is usually asymptomatic. Sarcomatous transformation is the dreaded consequence of PDB as widely reported by previous series [1-3], in literature it range from 0.15% to 3.4% [2,4]. The incidence of Paget’s sarcoma increases steadily with age until the seventh decade of life . Risk factors have not been described. Some authors found a higher incidence of sarcomatous transformation in patients affected by polyostotic or widespread PBD [4,6-9]. However, it is a controversial issue. A recent wide series reported by Ruggieri et al. didn’t find any correlation between the extension of PDB and risk of malignant transformation. A sarcoma should be suspected when new pain and some radiographical changes develop in a bone previously affected by PDB. Other symptoms can include soft tissue swelling or pathological fractures. The serum alkaline phosphatase which is elevated with Paget's disease may rise further with onset of sarcoma. Unfortunatly these are not specific clinical feaures of a malignant trasformation, infact the presence of pain and swelliung can be mistaken with natural history of PDB, expecially during an early stage of tumor. Sarcoma in PDB has a poor prognosis compared with others bone sarcomas [3,10,11]. This discrepancy could be explained by an elderly mean age of presentation, that imply decrased immunity, poor general health, and low tolerance for convenctional chemotherapy and radiotherapy . A rare form of multifocal sarcoma in PDB was described in literature [2,6,7,9]. Vuillemin-Bodaghi et al. reviewed literature and stated that 2.4-17% of all Paget sarcomas are multifocal. Even though the theory of multiple primary was not universally accepted, some authors considered multiple bone lesions as metastatic dissemination. We describe a patient affected by two osteosarcoma in PDB, arose in two different sites with a time interval of 5 years. A 61-year-old man came to our department for pain and swelling on right elbow, started 6 weeks earlier. He referred a worsening of symptoms with increasing pain and occasional ulnar nerve paresthesia. His history was clear by tumors, neurological disease or other significant illness. A traumatic fracture of right clavicle occurred about 30 years earlier was the only significant finding. On examination patient had a swelling on the lateral elbow condyle. Pain occurred under digital pressure on lesion, range of motion was limited by pain at 80° in flexion and 15° in extension, pronation was 50°, supination 70°. Radiograph Figure 1 showed a bone lesion in the distal third of right humerus with mixed pattern. A main lytic area with an erupted cortex and extension in soft tissue was clearly visible on medial side. No sclerotic rim or periosteal reactions were present. X-rays also showed a thinned cortex on the epycondile, and a mixed pattern of trabecular bone all around the main lytic lesion. These features suggested an underlying Paget disease. Anyway diagnosis of Paget was stated only after biopsy result. Figure 1: Osteolysis with mixed pattern on distal right humerus involving metaphisys and epiphisis & medial epicondyle was entirely corroded. A magnetic resonance imaging (MRI) demonstrated the aggressive and destructive nature of the process, neoplasm erupted extensively the cortex and involved soft tissues with medial and proximal extension. The heterogeneous low signal intensity of the tumor on T1 weighted images increased after intravenous gadolinium administration and high signal intensity on T2 weighted images. No lesions were observed on Computed Tomography (CT) of the lung. Laboratory tests were normal, including alkaline phosphatase (179 U/l) and lactate dehydrogenase (288 U/l). A bone scan with 99mTcMDP showed an intense uptake of the distal humerus and a uniform uptake on right clavicle. On X-rays pathognomonical features of PDB were present: Bone with areas of coarsened trabeculae, bony enlargement and sclerosis tipical of Paget’s advanced stage. CT showed mixed lytic and sclerotic changes involving all clavicle body: a lytic process spreads in medial third in a wedge or “V cut cone” shape, lateral end of clavicle showed increasing bone density and thickened cortex (Figure 2). Figure 2: CT of Right clavicle show a pattern typical of Paget’s disease. An incisional bone biopsy from distal humerus revealed a high grade osteosarcoma. We performed a wide margins resection of right distal humerus and reconstruction with uncemented modular elbow prostheses (HMRS®, Stryker Howmedica). All nerves were preserved. After surgery we immobilized right arm in a cast for two weeks until the wound healed. Pathologic examination result was Gr. 4 osteoblastic osteosarcoma on Paget disease (Figure 3). The stage was IIB. Histological slides showed highly pleomorphic tumor cells producing a wide laminar osteoid. Pathological tissue permeated marrow spaces and trapping host trabecular bone. Atypical mitotic figures, hemorrhage, necrosis and cystic alterations were spread. The presence of giant multinucleated osteoclasts, and pagetoid bone with the typical mosaic pattern suggested an underlying Paget’s bone disease. Figure 3: Mosaic pattern of reversal cement lines, dilated vascular sinusoid, and prominent osteoclast activity with trabecular scalloping are consistent with the diagnosis of Paget disease of bone (Haematoxylin & Eosin, 20X). After surgery patient started adjuvant chemotherapy with 3 cycles of Cisplatin, Adriamycin and Ifosfamide following EUROBOSS I protocol . The patient has been submitted every 3 months to clinical and radiographical control, no local recurrence and metastasis were observed. Functional result at 6 months was good: Active flexion-extension of right elbow was 140°-40°, prono-supination was possible for about 2/3 of normal range, functions of right wrist and hand were normal, no pain was referred. At 18 months of follow-up from surgery a chest CT showed 2 suspect metastasis to the right lung. A double wedge resection was performed and histological examination confirmed diagnosis of osteosarcoma metastasis for both lesions (Figure 4). At 29 months of follow-up from elbow surgery another wedge resection was performed to excise one metastasis to the left lung. Afterward a new chemotherapy cycle was completed with oral Etoposide administered for 6 months. Figure 4: Lung metastasis from high grade osteoblastic osteosarcoma, extensively viable (Haematoxylin & Eosin, 5X). During subsequent follow-up no evidences of disease were observed. At 5.6 years from first surgery (3.2 years after last wedge resection) patient came back to control with swelling without pain on the right clavicle, affected by Paget’s disease. Clavicle was expanded, thickened and hard. At X-rays small eccentric area of lytic lesion with indefinite margins appeared on the medial third of the clavicle if compared with previous radiographs. On CT a lobulated lytic lesion with poorly circumscribed edges and destroyed cortex was observed, a soft tissue mass erupted and involved anterior and upper side (Figure 5). An FFDG PET/CT confirmed this area as a high metabolic site (SUV 11), without any other uptake. Figure 5: Computer thomography show a lityc modification on proximal third of rigth clavicle, if compared with previous CT (Figure 2). The neoplasm erupted cortex on anterior side and involved soft tissue. A complete resection of the clavicle with wide margins was performed. Osteosarcoma in Paget’s disease was the histological diagnosis. On slides neoplastic tissue showed the same features of previous distal humerus osteosarcoma (Figures 6 and 7). Figure 6: Malignant sarcomatous cells producing neoplastic osteoid are consistent with the diagnosis of high grade osteoblastic osteosarcoma in the humerus (Haematoxylin & Eosin, 10X). Figure 7: Malignant sarcomatous cells producing neoplastic osteoid are consistent with the diagnosis of high grade osteoblastic osteosarcoma in the clavicle (Haematoxylin & Eosin, 20X). A new chemotherapy with 4 cycles of Etoposide, Adriamycin and Ifosfamide was administered to the patient. There was no evidence of disease until 5 months. Afterward, new pulmonary metastases were diagnosed. Actually patient is alive with disease at 6.8 years of follow-up. The last cycle of chemotherapy for palliation was performed 3 months ago. The association between sarcoma and PDB was widely described in literature [1-3,10,11,14]. Nevertheless is difficult to determine an exact incidence of sarcomatous degeneration without certain about PDB’incidence. Indeed exist a large amount of popolation affected by asymptomatic Paget’s disease, this prevent diagnosis and confuse statistics. Anyway if we consider only patients with a diagnosis of PDB, sarcoma had an incidence ranging around 1% [2,8,15]. The introduction of neoadjuvant chemotherapy and new surgical skills had improved outcome of patients affected by musculoskeletal tumors, unfortunately this is not true for sarcomas in PDB. In literature a median survival rate range from 8 months to 2.5 years . Possible explanations can be the highest mean age of patients, that limits the effectiveness of chemotherapy and clinical and radiological features of PDB that makes an early diagnosis quite difficult . Pathogenesis of malignant degeneration in PDB is still totally unclear. This is a relevant question that hopefully need to be raised in future. At this moment should be helpful to identify some risk factors to perform an early diagnosis of such aggressive tumor. Some authors reported polyostotic PDB as a risk factor: a widespread disease should increase the possibility of malignancy [1,3,6-9]. Our patient was affected by PDB only on distal right humerus and right clavicle. This limited extension seems support evidences of Ruggieri and Seitz [10,15] that did not observe a higher risk in patients with extensive and polyostotic PDB. 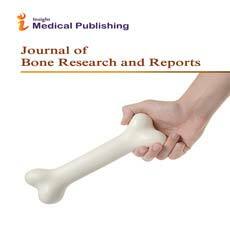 Fracture of pagetic bone was reported as a risk factor . In our case a fracture of clavicle occurred about 30 years before tumor diagnosis, a too long time frame to relate these two events. Few papers about multifocal Paget’s sarcoma have been reported. Since 1980 less than 20 cases have been described [1,6,7,12], all of these had a synchronous presentation. Despite a long debate started in 1922 with Fedder , who first reported a multicentric case, there is still no agreement about the nature of this unusual presentation: Should we consider multiple lesions as multiple primary synchronous tumors or as metastases? Even though we cannot assume with certainty that clavicular lesion of our patients is a metastasis or a second primary tumor, we believe that some unique features of this case should contribute to debate. After elbow resection multiple pulmonary metastasis demonstrated that the tumor was widespread in all body. Despite this dissemination the unique bone lesion arose in unique site affected by PDB. Could PDB support the onset of metastases or we have to consider it a second primary lesion? Is not clear if bone affected by PDB is a suitable site for metastasis: Smith et al. excluded that vascular and metabolic modification of PDB could favor the onset of metastasis as previous assumed by other authors [17-21]. Another meaningful element to consider is the long interval between humeral tumor and following clavicle involvement. Our patients had the clavicle diagnosis at 5.5 years after elbow resection, 3.2 years after last wedge resection for lung metastasis, a quite long period with no evidence of disease considering the hight malignancy grade. This time lapse could be explained with a metachronous presentation. Choquette et al. suggested that two different localizations of disease degenerate in different times. In summary, we cannot stated if our case have to be considered a methacronous presentation of tumor or simply a metastasis, but we hope to offer a cantribute to debate submitting some elements that support metachronous primary tumor hypothesis. Each author certified that he or she has no commercial associations (e.g., consultancies, stock ownership, equity interest, patent/licensing arrangements, etc.) that might pose a conflict of interest in connection with the submitted article. Smith J, Botet JF, Yeh SD (1984) Bone sarcomas in Paget disease: a study of 85 patients. Radiology 152: 583-590. Greditzer HG 3rd, McLeod RA, Unni KK, Beabout JW (1983) Bone sarcomas in Paget disease. Radiology 146: 327-333. Mangham DC, Davie MW, Grimer RJ (2009) Sarcoma arising in Paget’s disease of bone: declining incidence and increasing age at presentation. Bone 44: 431-436. Hansen MF, Seton M, Merchant A (2006) Osteosarcoma in Paget’s Disease of Bone. J Bone Miner Res 21: 58-63. Price CH, Goldie W (1969) Paget’s sarcoma of bone: a study of eighty cases from the Bristol and the Leeds bone tumour registries. J Bone Joint Surg Br 51: 205-224. Choquette D, Haraoui B, Altman RD, Pelletier JP (1983) Simultaneous multifocal sarcomatous degeneration in Paget’s disease of bone. A hypothesis ClinOrthop 179: 308-311. Erlich RB, Romano S, Meohas W, Smith J (1999) Synchronous Paget’s sarcoma of tibiae in which Paget’s disease was limited to these bones. Skeletal Radiol 28: 599-603. Mankin HJ, Hornicek FJ (2005) Paget’s sarcoma: a historical and outcome review. ClinOrthop 438: 97-102. Moore TE, King AR, Kathol MH, el-Khoury GY, Palmer R, et al. (1991) Sarcoma in Paget disease of bone: clinical, radiologic, and pathologic features in 22 cases. AJR Am J Roentgenol156: 1199-1203. Ruggieri P, Calabro T, Montalti M, Mercuri M (2010) The Role of surgery and adjuvants to survival in pagetic osteosarcoma. ClinOrthop 468:2962-2968. Deyrup AT, Montag AG, Inwards CY, Xu Z, Swee RG, et al. (2007) Sarcomas arising in Paget disease of bone: a clinicopathologic analysis of 70 cases. ArchPathol Lab Med 131: 942-946. Vuillemin-Bodaghi V, Parlier-Cuau C, Cywiner-Golenzer C, Quillard A, Kaplan G, et al. (2000) Multifocal osteogenic sarcoma in Paget’s disease. Skeletal Radiol29: 349-353. Ferrari S, Smeland S, Bielack S, Comandone A, Dileo P, et al. (2009) A European treatment protocol for bone sarcoma in patients older than 40 years. ASCO Meet Abstract. Barry HC (1960) Sarcoma in Paget’s disease of bone. Aust NZJ Surg 29: 304-310. Seitz S, Priemel M, Zustin J, Beil FT, Semler J, et al. (2009) Paget’s disease of bone: histologic analysis of 754 patients. J Bone Miner Res 24: 62-69. Fedder L (1922) OstitisdeformansmitsekundaerRundzellensarkomatose. FortschrGebRoentgenstrNukl 31: 391-399. McKenna RJ, Schwinn CP, Soong KY, Higinbotham NL (1964) Osteogenic sarcoma arising in Paget’s disease. Cancer 17: 42-66. Sear HR (1949) Osteogenicsarcoma as a complication of osteitisdeformans. Br J Radiol 22: 580-587. GiuntiA, Laus M (1979) Sarcoma in Paget’s disease (11 cases). Ital JOrthopTraumatol 5: 311-320. Porretta CA, Dahlin DC, Janes JM (1957) Sarcoma in Paget’s disease of bone. J Bone Joint Surg Am39:1314-1329.